The Addams Family musical premiered on Broadway in 2010. Marshall Brickman and Rick Elice wrote the book, Andrew Lippa wrote the score. 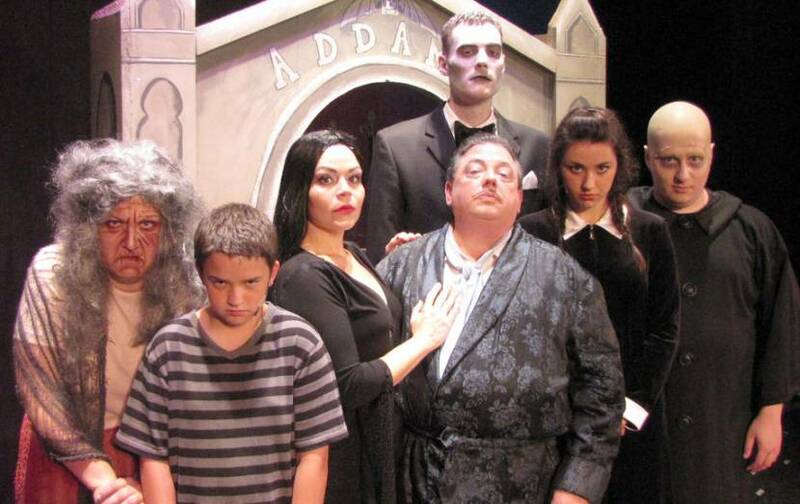 The show has a few dozen gags taken right from Addams, foolproof if the actors and creative team know his work. (On the other hand, it can be painful to watch the same jokes delivered by performers who don’t understand them.) The plot that strings the jokes together is banal – a conventional romance that not only betrays the material but goes out of its way to avoid being interesting. The songs are instantly forgettable – I’ve seen the show twice this year and I can’t recall a single melody. By the end of the show I was cranky; a once-great program had again squandered the efforts of dozens of talented and committed performers. Then I saw the youngest member of the cast, a ten year-old I know. He was exhausted but blissed out on the high of having finished another show. I know the feeling. I decided it wasn’t all bad. Here’s hoping for the next one. Crap, the next one is Legally Blonde The Musical. Here’s hoping for the one after that. Posted in Theater and tagged Rome Capitol Summerstage, Theater, Theater Reviews, Upstate NY Regional Theater. Bookmark the permalink.